The tool for businesses that are going places. The new ANZ Visa Business Airpoints card gives you a smarter way to manage your business expenditure, while earning Airpoints Dollars™ for your Airpoints™ for Business account at the same time. If you're not a member of Airpoints for Business, it's free to sign up. Join now to start earning Airpoints Dollars on your business travel and spend. * Eligible purchases do not include cash advances, balance transfers, interest, fees, government charges including tax payments and child support, the purchase of cash substitutes (such as travellers' cheques) or gambling transactions or transactions resulting from returned purchases or disputed transactions. ** For the first $25,000 spend per annum after which the earn rate is 1 Airpoints Dollar per $75 of eligible spend. To get the higher Airpoints Dollar earn rate, purchases must be made direct from Air New Zealand or the Air New Zealand contact centre. 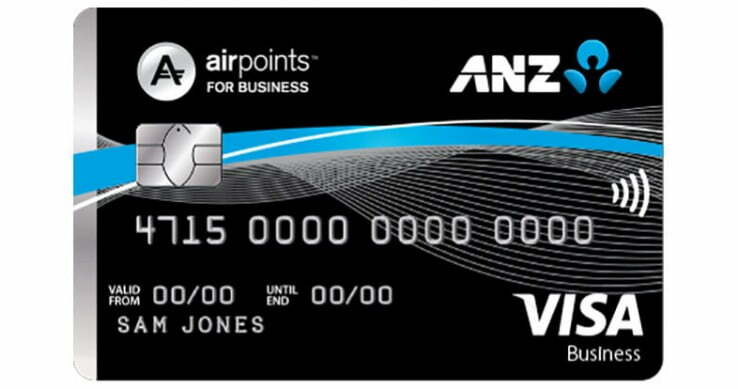 See the ANZ Airpoints Visa guide for more information. ANZ, Airpoints and Airpoints for Business terms and conditions apply.